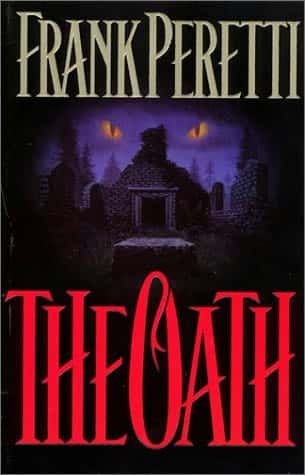 The Oath by Frank Peretti is one of those few books known as Christian suspense or horror. Frank Peretti has helped to pioneer this field, and The Oath is a fine example of the genre. I’m not a huge fan of the genre, but I found myself enjoying The Oath, even despite my misgivings. And it’s packed with a surprise, too.Steve Benson is in Hyde River to investigate the mysterious death of his younger brother, Cliff. With half of his brother’s body missing, and the police force determined that the death is the work of a grizzly bear, Steve isn’t convinced that the explanation is so simple. But his explorations will stir up a whole lot more than the suspicious natives of the town: a dark, ancient, evil. This book is extremely well-written. I was pleasantly surprised, but then again, this is Peretti — he’s proved in book after book that he can write extremely well. The characters feel real: Steve and Tracy, two of the main protagonists, feel real and three-dimensional. Peretti weaves in his message and theme with realistic actions that don’t make the characters feel like cardboard. Mainly I was nervous about the entire idea of Christian ‘horror.’ I feel like the entire idea isn’t something we should be filling our heads with. But The Oath falls more in the realm of suspense anyways. And very good suspense, to boot. The mystery unfolds as it should. It feels like it’s happening, not like it’s been forced (again, like the characters were). Peretti has a knack to make things seem so natural even while we’re talking a supernatural thriller. This book is a joy to read. Because it’s written so naturally, things slip in naturally also. A heavy theme in the book is sin, and it’s featured prominently in the book. That being said, it’s written very naturally (it’s a word I’m fond of today, it seems), that is to say, it’s not varnished over. But at the same time, it’s not dwelled on. Peretti doesn’t pull you out of the story to screech “This is sin! 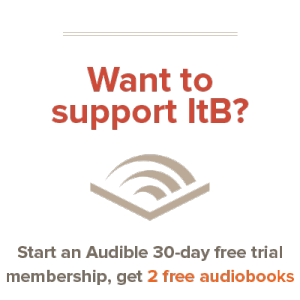 It’s bad!” but at the same time, the characters know, deep down, that it’s bad; and the consequences are sure to come out throughout the story. Peretti takes a lot of space to deal with sin. It’s all through the novel, which is fitting, as it’s a novel about fallen humans. Sin is depicted as a black sore over the heart &mdas; when it has led them near death, it spurts out as black goo. At one time or another everyone becomes enslaved to this sore, which leads them and dictates their actions. The allegory in this book is fantastic. Another plus (or minus, depending on how quickly you read) to The Oath is its length. And these aren’t just random page-fillers: Peretti makes good use of them. It stretches to over three hundred pages, which lends a lot to the naturalness of the novel. Its scope is so big that there’s enough space to give the characters room to breathe. Overall, The Oath restored my faith in Frank Peretti. I’d been a little bit put off by his books when I read the Darkness books, but this has made me want to read his books again: something I didn’t think would happen. Overall, this is a good book — if you’ve been reticent to get into ‘Christian suspense,’ this may be the book for you. I haven’t read this one yet, but I actually loved his Darkness books and his two YA books, so I may have to try this as well. Interesting… I might want to look into this book. Excellent book, one of my favorites, mainly for the rich allegory and redemptive message. I loved this Peretti book! I heard Monster was good, but have yet to go through it.